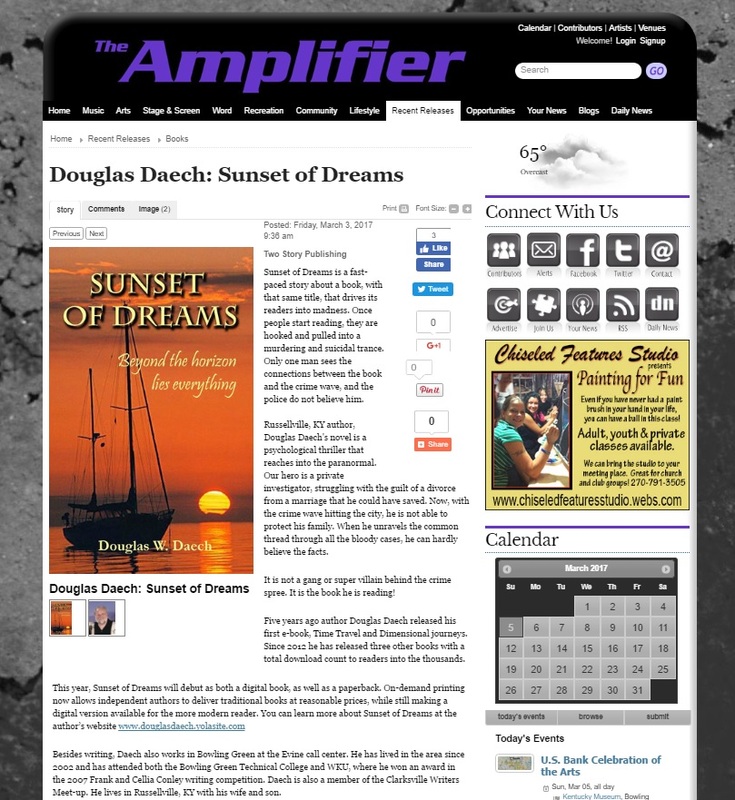 When you received the Two Story Publishing Newsletter last month, it included an exclusive excerpt from Sunset of Dreams. You also received an invitation to pre-order with special savings. (If you didn’t get your newsletter click HERE!) 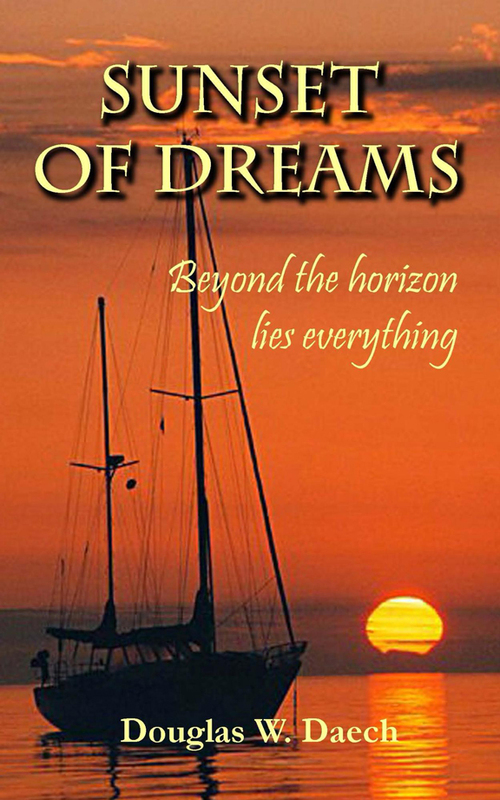 This mystery thriller book is due to release May 1st at Amazon.com. The launch countdown is underway. The books and street team is ready. A book launch is a multi-step process. Each step is aimed to raise awareness of the product before it releases. The excerpt was just one of the promotional stepping stones to that big launch day. 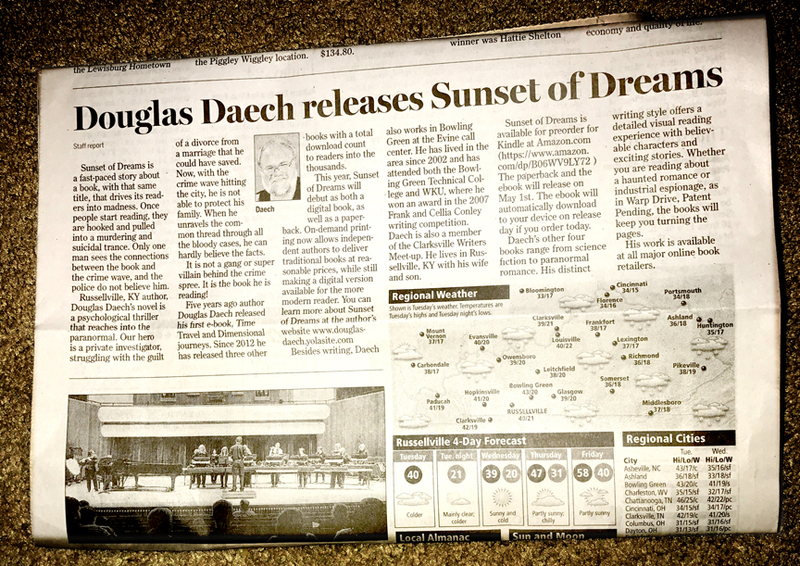 Newspaper press releases are another step that helps generate pre-orders. The goal of the media blitz is to advertise the product. This surely is a great benefit to the independent author. It’s important to get the orders in fast! Top selling books get special attention by retailers and buyers alike. On launch day, all the weeks of pre-orders will be attributed to that one day, making it a killer day for sales. It is that buzz that turns a book into a best seller. The press release works! The second advantage of early sales is in getting reviews. Buyers need to know what other readers think regarding new books. Pre-orders are the fastest way to get reader comments. Authors need those early reviews to generate more interest and keep up the momentum. If you have ever hesitated to give a review, please reconsider. When you like an author, take a moment and help them by leaving a comment. It is best for the author if you leave the review while the book launch is still hot.